Born: 1858, Munlochy, Scotland, United Kingdom. Died: 29 September 1945, London, United Kingdom. Angus John Beaton, eldest son of John Beaton, was educated at Munlochy Public School, the Inverness Royal Academy, and Owens College, Manchester. He was then articled to James Fraser, consulting civil engineer of Inverness, and in 1884 joined the engineering staff of the London and North Western Railways as assistant to the divisional engineer at Bangor, Wales. Remaining with this railway company for the next 16 years he became assistant engineer on the Standedge New Tunnel in Yorkshire (1890-1894), resident engineer planning the widening of a 24 km section of railway comprising 45 bridges and nine stations and the widening of the Severn Viaduct (1894-1897), and put in charge of the enlargement of Shrewsbury Station, etc. (1898-1900). From March to August 1900 he was engaged at the Military School of Instruction at Chelsea Barracks. By this time he was an associate member (later a member) of the Institution of Civil Engineers, and a Fellow of the Society of Antiquaries of Scotland. He published "Notes on the antiquities of the Black Isle, Ross-shire, with plans and sections" (Proceedings of the Society of Antiquities of Scotland, 1882), Illustrated guide to Fortrose and vicinity (1885) and The social and economic conditions of the Highlands of Scotland (1906). Following the outbreak of the Anglo-Boer War (1899-1902) Beaton came to South Africa and from October 1900 to May 1902 served on the Field Intelligence Staff in the South African Field Force, 7th Dragoon Guards. He attained the rank of Captain and was awarded the Queen's South African Medal with three clasps. After the war, in May 1902, he joined the Cape Government Railways as District Engineer and in January 1903 was appointed Assistant Chief Resident Engineer in the Central South African Railways, in charge of all new works. After the formation of the Union of South Africa in 1910 the three existing railways were amalgamated into the South African Railways and Harbours, with Beaton as Assistant Engineer-in-Chief, stationed in Johannesburg. He held this post until his retirement. In 1912 he published Don'ts for platelayers, being simple hints of track maintenance (Pretoria, 1912, 24 pp). During World War I (1914-1918) Beaton served in German South West Africa (now Namibia) with the rank of Major and in East Africa with the rank of Lieutenant-Colonel. He was appointed a Companion of the Order of St Michael and St George (CGM) in 1918. 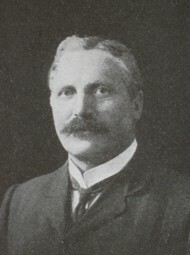 Beaton was a member of the South African Society of Civil Engineers and served as its president in 1923. He became a member of the South African Association for the Advancement of Science before or in 1906 but his membership lapsed during World War I. In 1908 Beaton married Florence Caroline Bredell, with whom he had two sons and a daughter. Google scholar. http://scholar.google.co.za/ , publications by Beaton, Angus John. National Automated Archival Information Retrieval System (NAAIRS), at http://www.national.archives.gov.za/naairs.htm Documents relating to Beaton, Angus John. National Archives Repository (TAB), Source MHG, Vol. 0, Ref. 4767/46: Death notice and antenuptual contract, Angus John Beaton. South African Association for the Advancement of Science. Report, 1905/6, 1910, List of members. South African bibliography to the year 1925. Vol. 1-4, London: Mansell, 1979; Vol. 5, Cape Town: South African Library, 1991. South African Who's Who, 1908, 1917-8, 1919-20, 1923-4.